BALTIMORE (CNS) — Officials of the Leadership Conference of Women Religious met with three U.S. bishops charged with overseeing the organization’s reform Nov. 11 in Baltimore prior to the U.S. bishops’ annual fall general assembly. 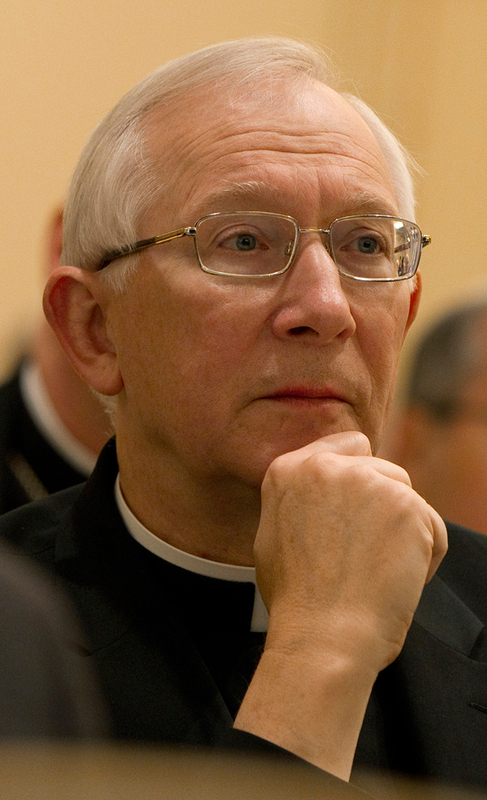 “The discussion was open and cordial and those present agreed to meet again to continue the conversation,” according to a brief statement issued Nov. 12 by Franciscan Sister Florence Deacon, LCWR president, and Seattle Archbishop J. Peter Sartain, who was assigned by the Vatican to provide “review, guidance and approval, where necessary, of the work” of LCWR. Other LCWR leaders at the meeting were Franciscan Sister Pat Farrell, immediate past president; Sister Carol Zinn, a Sister of St. Joseph, who is president-elect; and Sister Janet Mock, a Sister of St. Joseph and the organization’s executive director. LCWR is an umbrella group of 1,500 leaders of U.S. women’s religious communities representing about 80 percent of the country’s 57,000 women religious. LCWR leaders also met with Bishop Leonard P. Blair of Toledo, Ohio, and Bishop Thomas J. Paprocki of Springfield, Ill., who were appointed by the Vatican to assist Archbishop Sartain. In April, the Vatican Congregation for the Doctrine of the Faith issued an assessment of LCWR and called for its reform to ensure its fidelity to Catholic teaching in areas including abortion, euthanasia, women’s ordination and homosexuality. The organization’s canonical status is granted by the Vatican. During an Aug. 7-10 assembly of LCWR leadership in St. Louis, the group said it would pursue “open and honest dialogue” with church officials about the assessment.